There’s event cinema and there’s the release of a new movie in the Star Wars franchise. You really don't get more eventy than this. Each new Star Wars film is shrouded in secrecy (and there will be no spoilers here) and offers the promise of greatness. Each new film (and each new director) carries an immense burden - the weight of all our hopes and expectations. Just as impressive, perhaps, is the fact that this cinematic behemoth still manages to feel like a Rian Johnson movie. Several times during Star Wars: The Last Jedi, I felt the director’s voice and awe-inspiring vision shine through. Yes, we are definitely in safe hands. 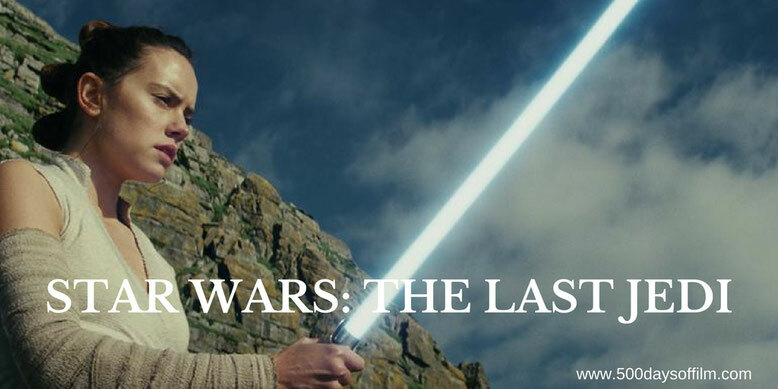 Star Wars: The Last Jedi knows when to take risks and when to play it safe. There is plenty of nostalgia but the film is never overwhelmed by its past. We get to spend time with the characters that we know and love (and some we love to hate) and are also introduced to some exciting new faces (including some rather cute creatures… yes, I’m talking Porgs). It is wonderful (and so satisfying) to see Luke (Mark Hamill), Rey (Daisy Ridley), Poe (Oscar Issac), Finn (John Boyega), BB8 and, of course, General Leia Organa (Carrie Fisher) on the big screen once again (set to a wonderful iconic score by John Williams). All give superb physical and emotionally nuanced performances. Leia has a more significant part to play in this film and many of the scenes featuring the late Carrie Fisher (who am I kidding, all of the scenes) are deeply moving in the light of her death. How great, then, that she should have such a poignant and fitting last role. The Last Jedi seems the perfect way to honour her memory. She is and will always be much missed. While Johnson’s love and respect for Star Wars is clear and while he is keen to reward the franchise’s many fans, the director is also unafraid to pull the rug from under all that we might assume. He challenges us to look at this universe from a fresh perspective. Things may not turn out the way we think but, ultimately, this is a good thing. For example, Johnson builds deeper complexity into the iconic themes of light and dark. Nothing feels so simple or easy to define in The Last Jedi. There is much internal conflict and the line between good and evil is harder to draw. As a result, whereas the ‘bad guys’ in other film franchises are often the least interesting aspect, Johnson delivers a formidable and fascinating dark side. One of the most intriguing story lines lies with Kylo Ren (Adam Driver) - particularly following the events in The Force Awakens. Not even wrinkly Supreme Leader Snoke (Andy Serkis) can compete. Driver is a truly mesmerising screen presence - a superb actor more than capable of portraying the raging conflict within his character. At once he is a vulnerable and frightened little boy and a terrifyingly unpredictable monster. Meanwhile, one of the key strengths of The Last Jedi is that it does not over-complicate its story. There is a lot going on and many characters to follow but, at its core, the plot is simple. We always understand where everyone is and why they are doing what they are doing. Equally impressively, nothing feels rushed and, despite the film’s hefty running time, nothing drags. Indeed, The Last Jedi’s action is explosive from start to finish. The fight sequences are breathtaking and the violence is effective because the stakes feel real. Never do you sense that any character is safe. The tension feels quite exhausting as the Rebels face one seemingly insurmountable challenge after another. However, just when we are feeling the strain or when Star Wars lore threatens to stifle the story, Johnson injects his film with a moment of subtle, yet startling comedy. Of course, there is nothing here on the level of, say, Thor Ragnarok, but expect to laugh out loud and often - and sometimes when you least expect. There has been much speculation about Rey. Who are her parents? What is her connection to Kylo Ren? I am not going to give anything away here, of course. Suffice to say that I am more than satisfied with the answers The Last Jedi has to give. Regardless of her heritage, Rey is a crucial figure in this franchise. She is for young girls today what Princess Leia was to me when I was growing up - a powerful, smart and compassionate woman. However, what I loved most about The Last Jedi is that it takes the issue of gender diversity a step further. 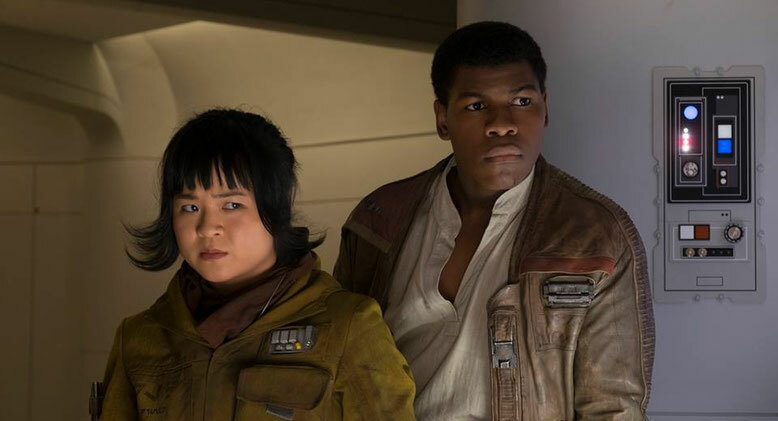 Alongside Rey and Leia, the film is full of tough, independent women (most notably Kelly Marie Tran’s Rose Tico) - each one just as resourceful, brave and valuable as any man but also possessing a refreshing female perspective. I cannot wait to see what happens in the next chapter. Meanwhile, I’m going back in for an immediate Last Jedi re-watch. If so, what did you think of this film? Let me know in the comments section below of via Facebook or Twitter (@500DaysOfFilm).